Small wonder that the idea has been promoted by the Obama administration, with strong nonpartisan and industry support. The government has given $6.5 billion in incentives, and doctors and hospitals have spent billions more. EMRs would make healthcare safer, better, and more efficient, assert the IOM, and if every person’s complete medical history was stored on computers and linked crosswise the country. Clinicians anywhere could view a patient’s every hospital stay, blood test, and X-ray. The smart software would guide diagnoses, prescribed drugs and doses would be computer-vetted against each patient to forestall life-threatening medication mistake. The medical community’s general reaction: great idea, but expensive and difficult. As the years passed, hospitals did slowly adopt computerized physician order entry for prescriptions, but otherwise, the wedding between computers and healthcare largely took place in billing departments and other back offices. 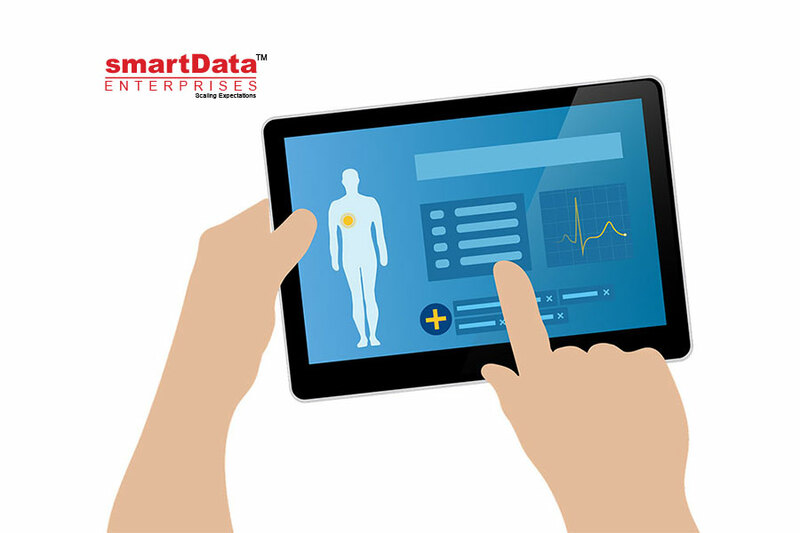 An EHR is a digital collection of patient health information compiled at one or more meetings in any care delivery setting. 1. Only 60 percent of respondents have a formalized EHR Governance structure in place. 3. Physician/clinician engagement and adoption are biggest EHR Governance challenges. 1. 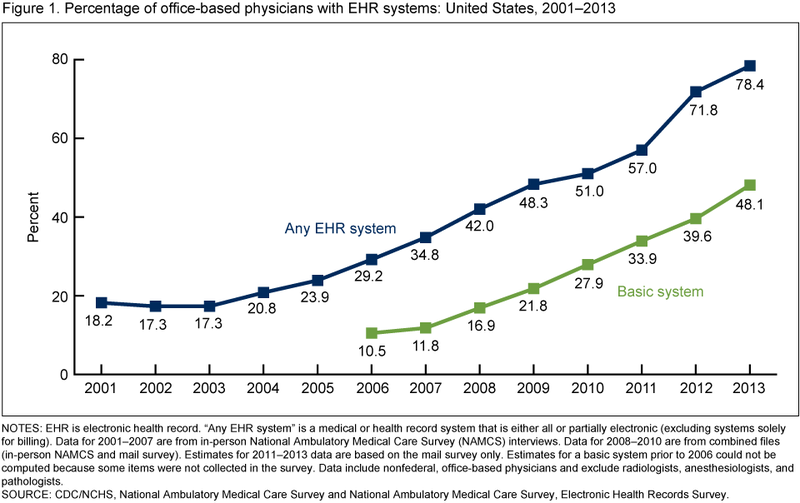 In 2013, 78% of office-based physicians used any type of electronic health record (EHR) system, up from 18% in 2001. 2. In 2013, 48% of office-based physicians reported having a system that met the criteria for a basic system, up from 11% in 2006. The percentage of physicians with basic systems by state ranged from 21% in New Jersey to 83% in North Dakota. 3. In 2013, 69% of office-based physicians reported that they intended to participate (i.e., they planned to apply or already had applied) in meaningful use. Around 13% of all office-based physicians reported that they both intended to participate in meaningful use incentives and had EHR systems with the capabilities to support 14 of the Stage 2 Core Set objectives for meaningful use.